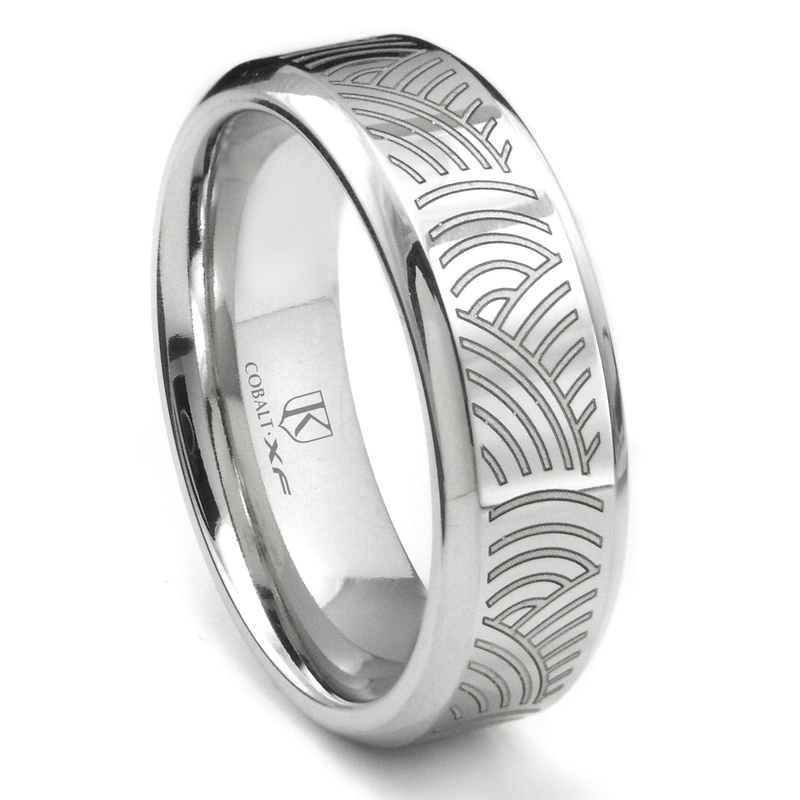 For those who prefer their jewelry to set them apart will find the cobalt xf chrome laser engraved wedding band with ripple designs is the perfect answer. The cobalt chrome wedding band has a white gold color high polish inner surface with a laser engraved ripple design top surface. The ring is 8 millimeter wide and is offered in a wide range of sizes depending on current inventory levels. 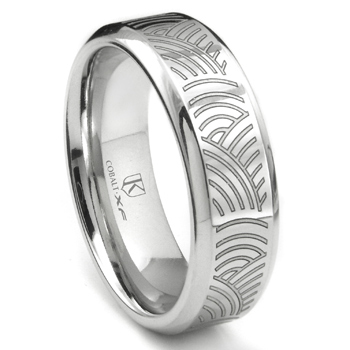 One feature that should not be overlooked is this is not only the perfect wedding band but our cobalt xf chrome laser engraved wedding band with ripple designs also makes a thoughtful inexpensive gift for birthdays, anniversaries, promotions at work, and a great graduation gift. The ring is extremely strong and will last a lifetime or more. It is very scratch resistant and this means the laser engraved ripple design will look as great 5 decades from now as it does the day you first wear it.